The Royal Parks charity today opens its £5M hi-tech ‘super nursery’ in the heart of London’s Hyde Park. 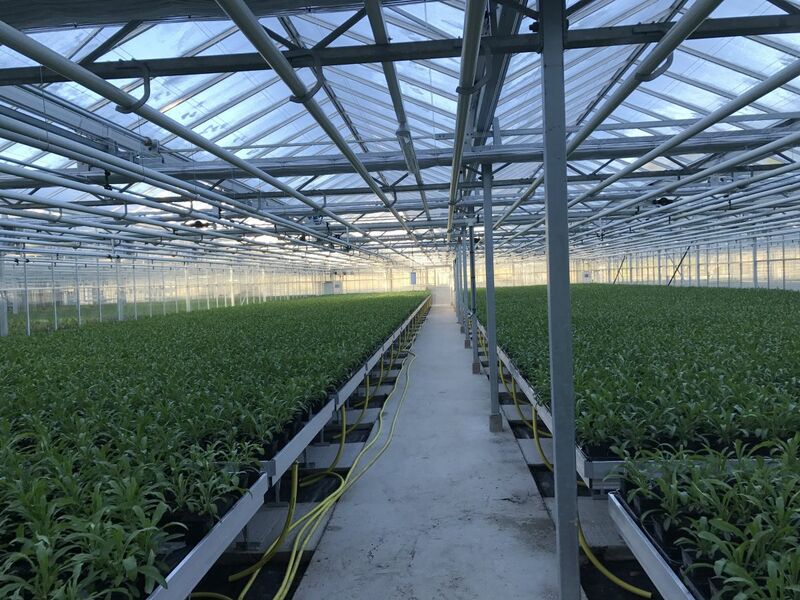 The nursery has been purpose-built to handle the growth of the 450,000 bedding plants and shrubs needed for the world-class flower displays across the charity’s eight London parks - including the floral displays in front of Buckingham Palace. The state-of-the art building* is the UK’s first major glasshouse to incorporate technology that allows the roof to open and close, depending on the British weather – much like the Centre Court roof at Wimbledon - which will adapt the climate according to the needs of the plants. The facility will grow some 900 different plant varieties needed for the summer displays – such as the scarlet pelargoniums grown to match the tunics of The Queen's Guard at Buckingham Palace - and the 300 varieties needed for the winter displays including yellow wallflowers. The nursery will supply all the gardens across the 5,000 acres managed by The Royal Parks, from the flower beds in front of Buckingham Palace that provide a magnificent backdrop to great ceremonial events such as Trooping the Colour, to the formal horticultural displays in The Avenue Gardens of The Regent’s Park. Wesley Kerr, OBE, Trustee of The Royal Parks charity, said: “Visitors to Hyde Park might never even spot this vast greenhouse, which is carefully camouflaged within a copse of trees. “But the cutting-edge technology built into this ambitious, innovative nursery is capable of growing the 450,000 plants that form world-class displays for the 77 million visitors who enjoy our parks every year.